Do your research; find a reputable salon with an excellent training program. Go au naturale. 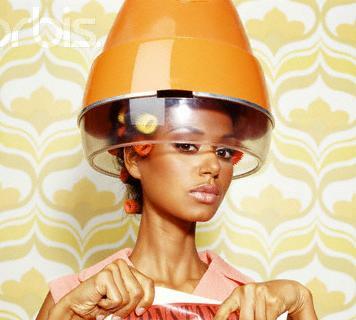 Come in with your hair dry and in its natural state. This helps the stylist see your "true hair" (wavy, straight, etc.) and best determine the cut. Don’t be shy, ask the stylist questions during your consultation. Some top q’s to keep in mind – is my hair suited for this cut or style, will this be easy to maintain, how will the natural hair growth process affect the look? Do your homework. If you have a specific cut or style in mind bring it with you. We may have some tips to alter it for your face or hair-type, but it gives us a jumping off point to insure you’re happy with the end result. Practice makes perfect. Pay attention to the products used, and feel free to ask if there is a less expensive version that does the same. Sometimes salons have certain products they are required to push. Relax and enjoy. This time should be all about getting away and pampering yourself.